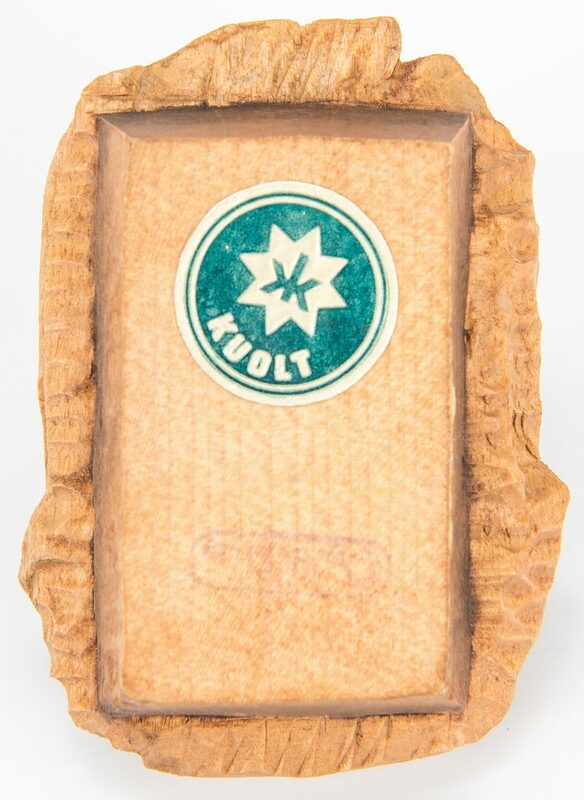 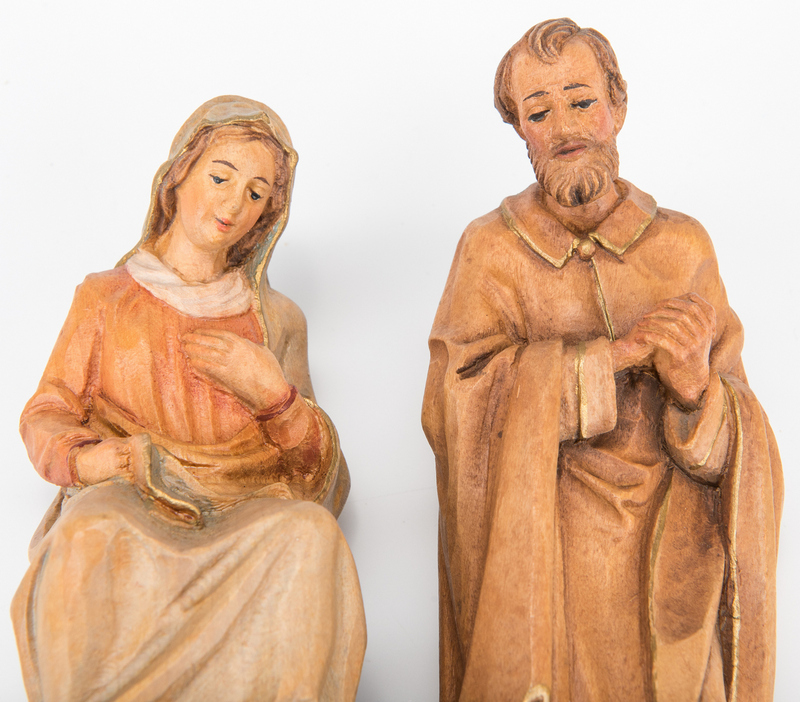 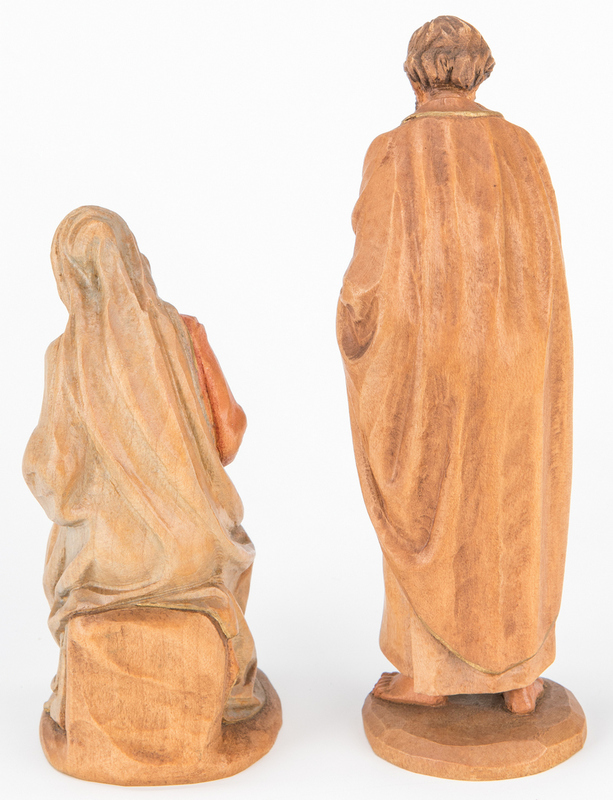 Vintage Italian ANRI carved and painted wood nativity set, some pieces designed by Professor Karl Kuolt (German, 1879-1937). 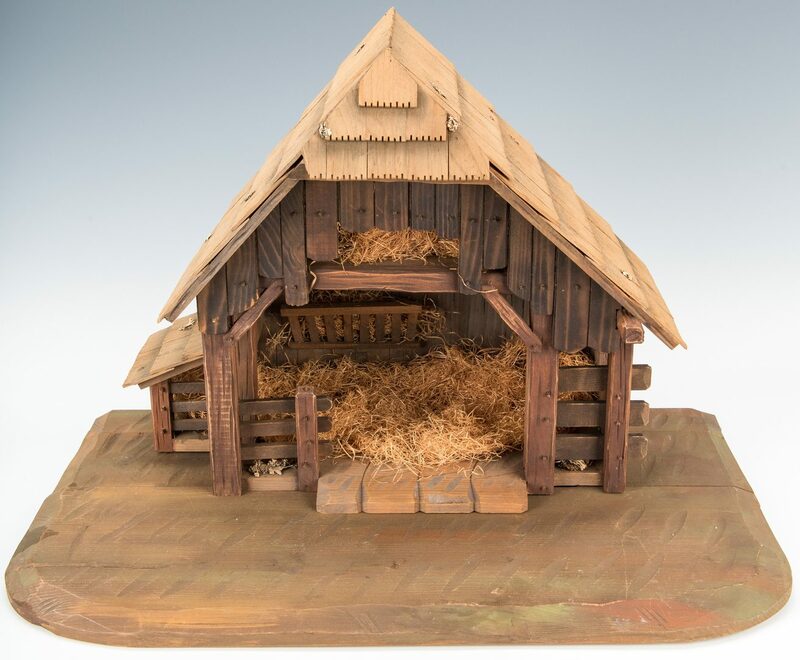 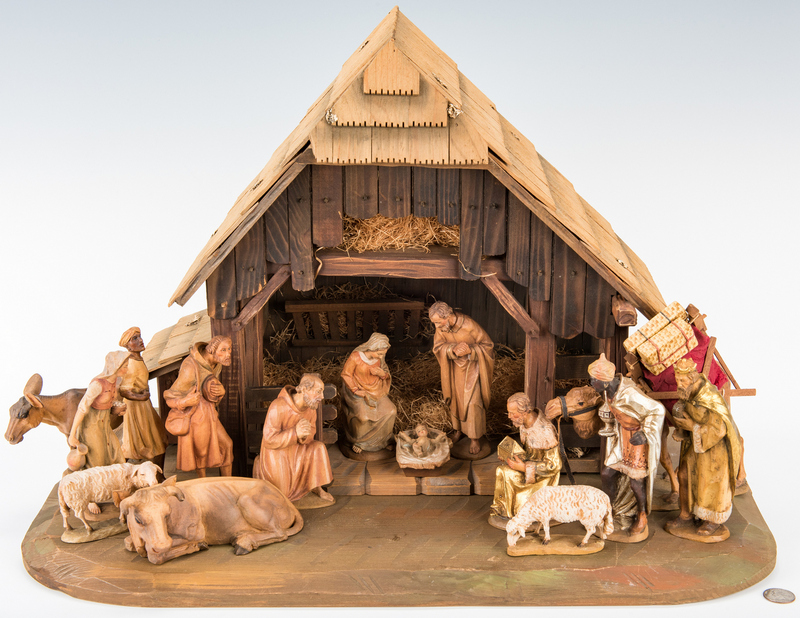 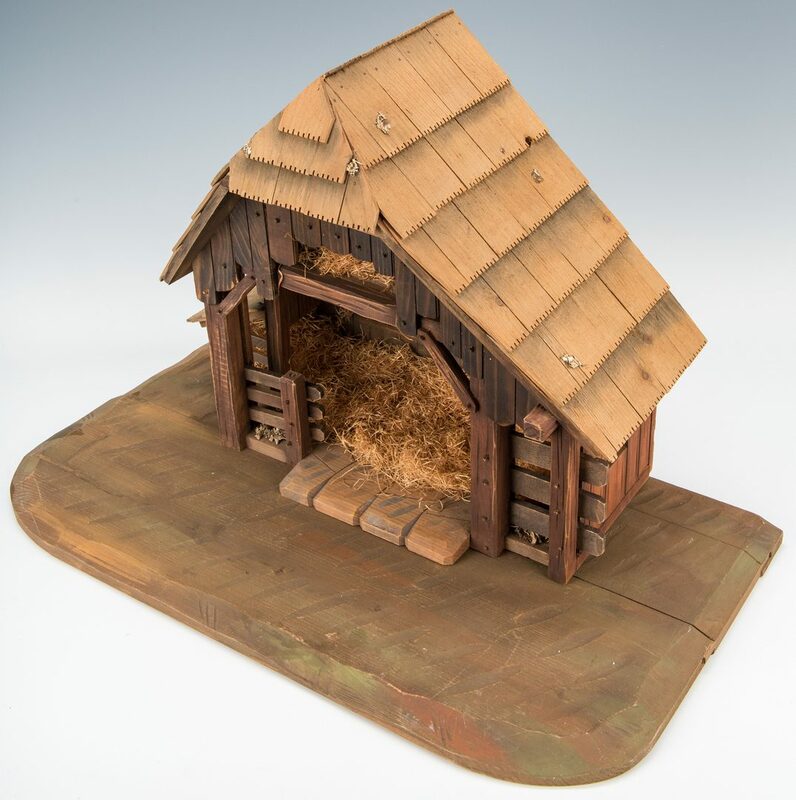 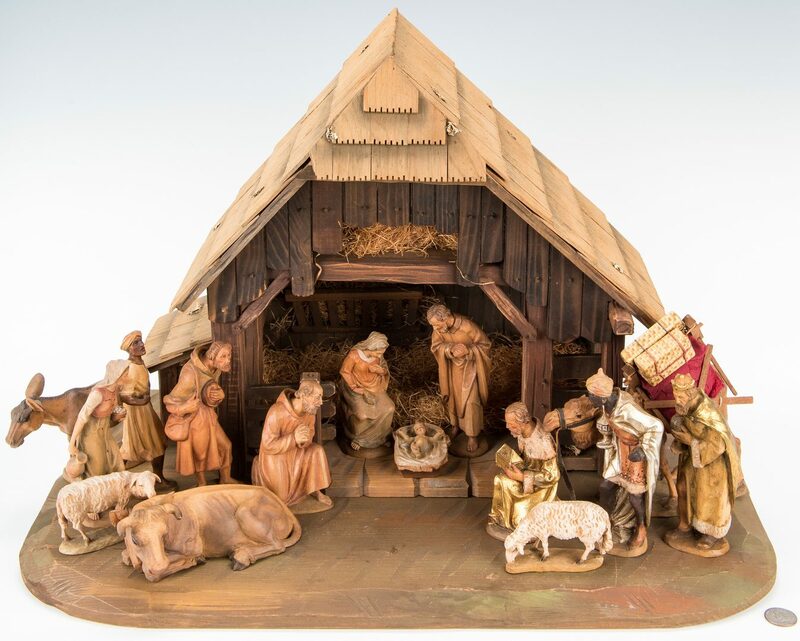 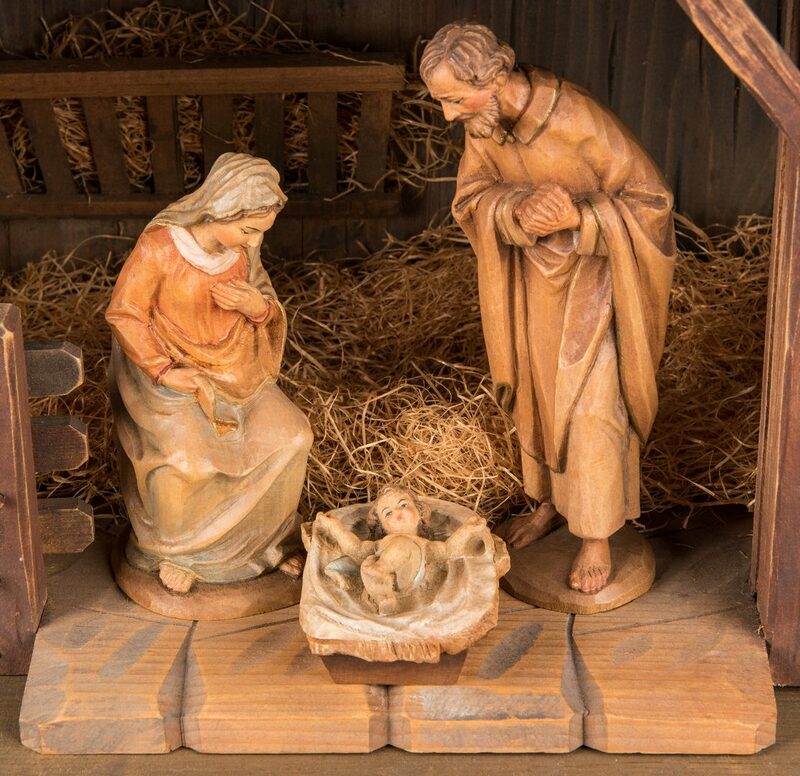 Set comprised of a lighted stable on a removable base, four (4) villagers, two (2) sheep, one (1) recumbant cow, one (1) donkey, one (1) camel with bundles atop its back, three (3) wise men, one (1) Mary, one (1) Joseph, and one (1) Baby Jesus. 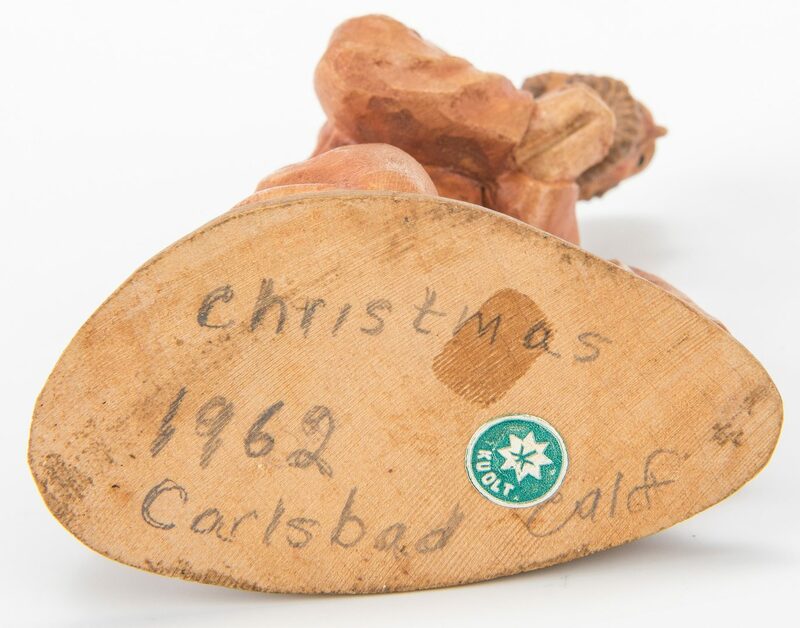 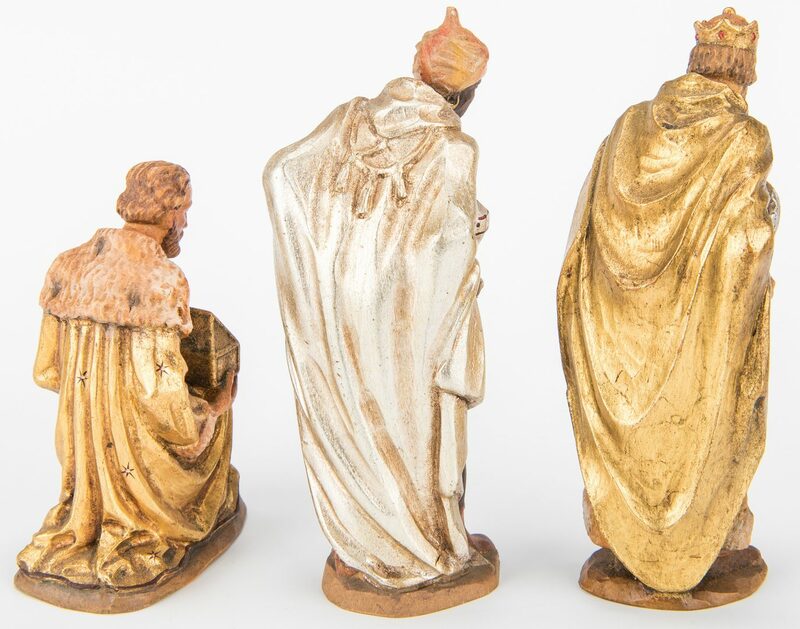 All figures stamped or otherwise marked on the base. 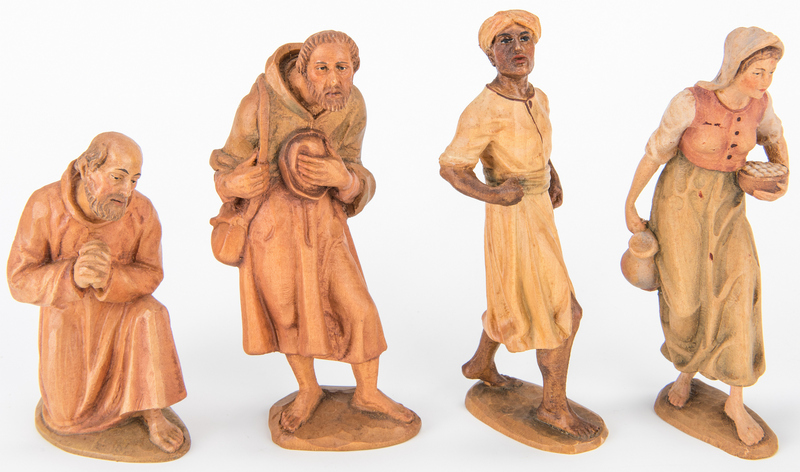 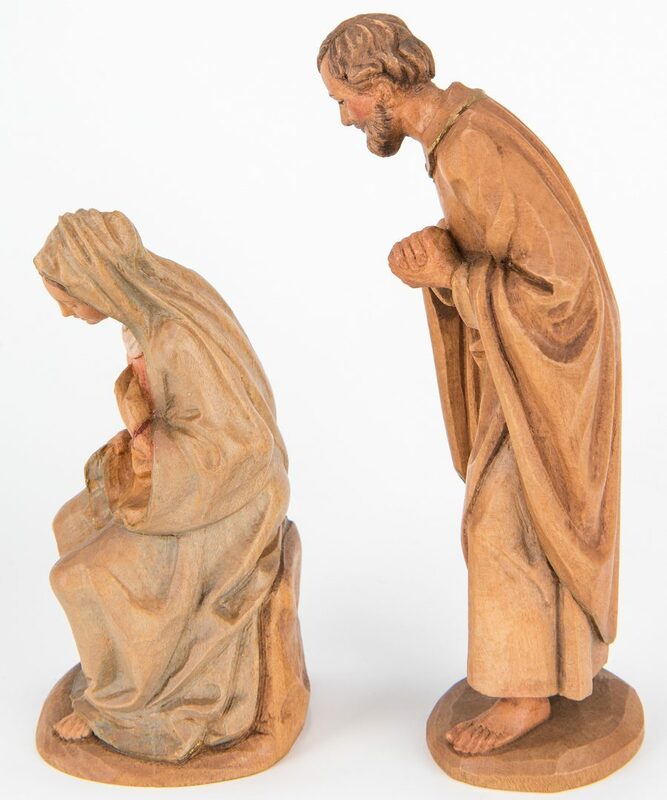 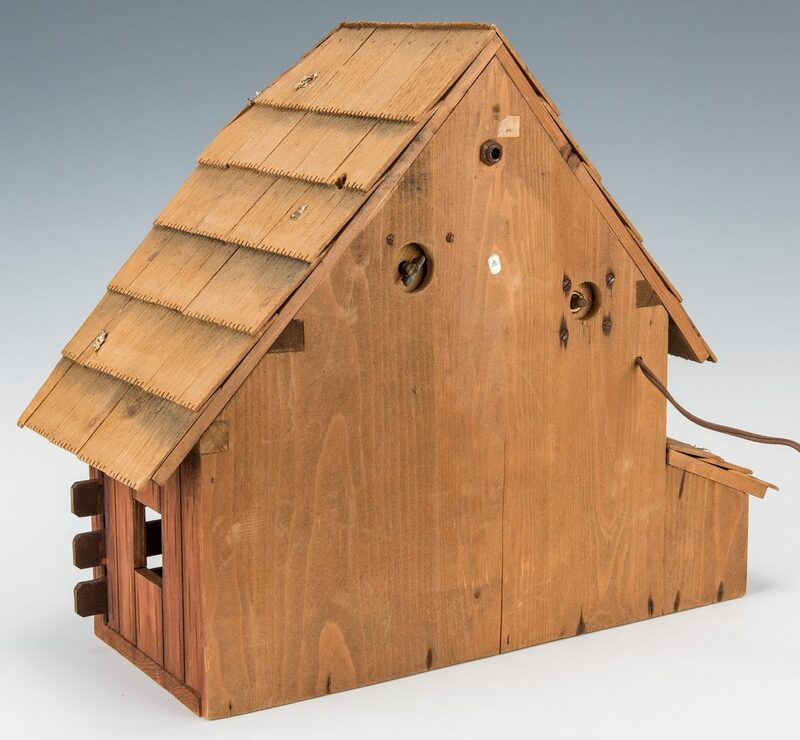 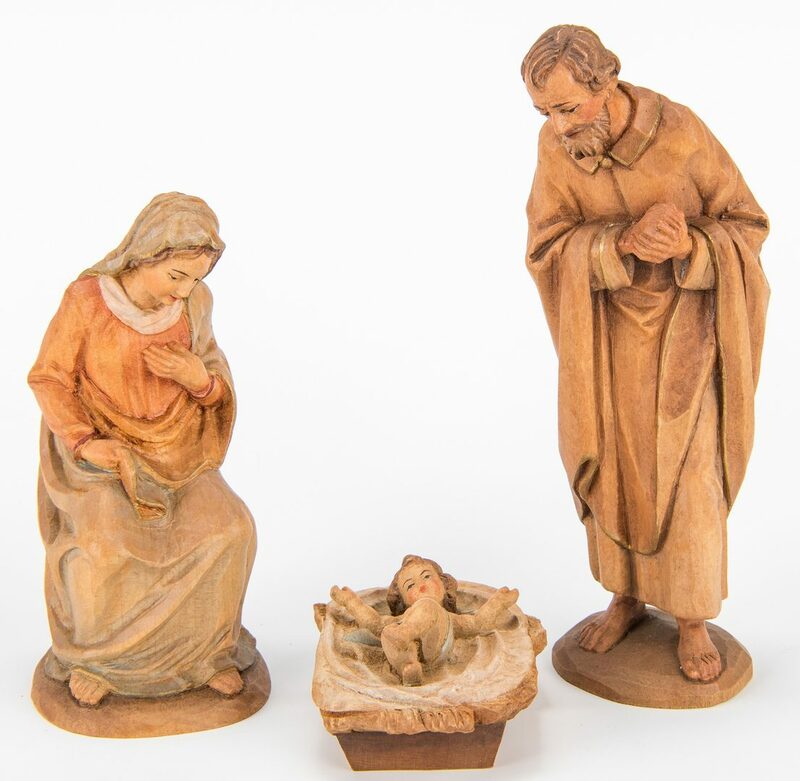 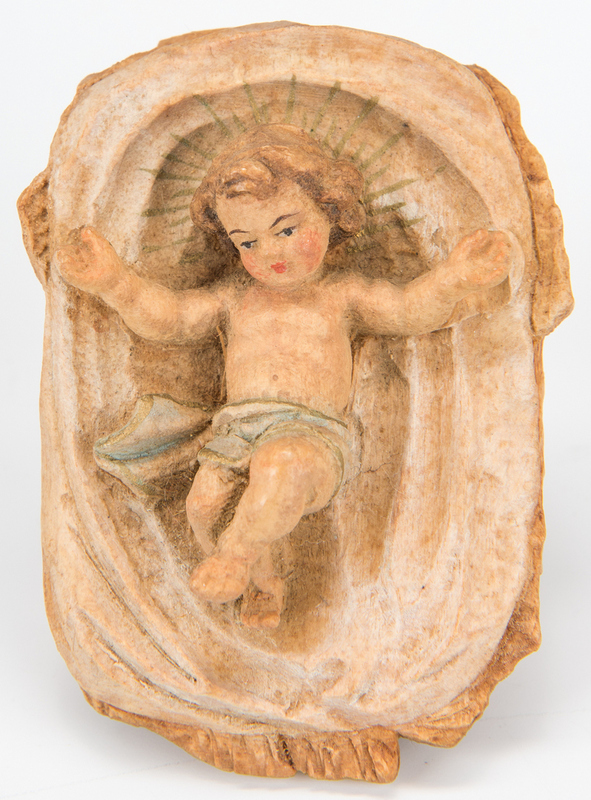 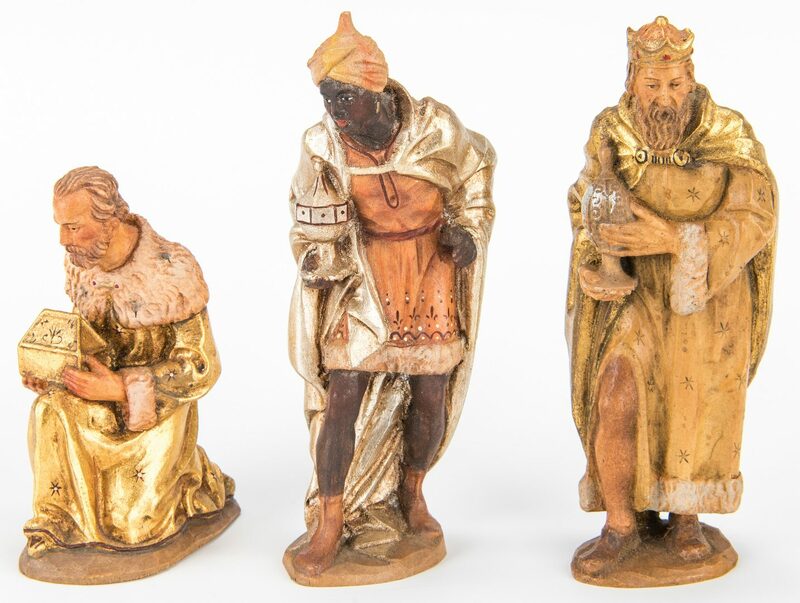 Figures range in size from 1 1/2" H x 3" L to 7" H x 8" L. Stable – 13 1/2" H x 19" W. Stable base – 24 1/4" W x 13 3/4" D. Mid 20th century. 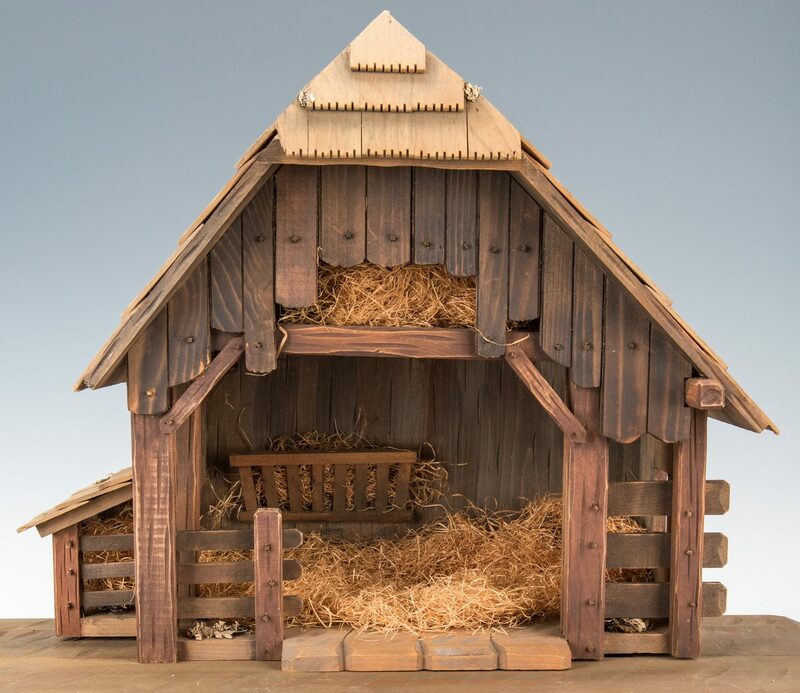 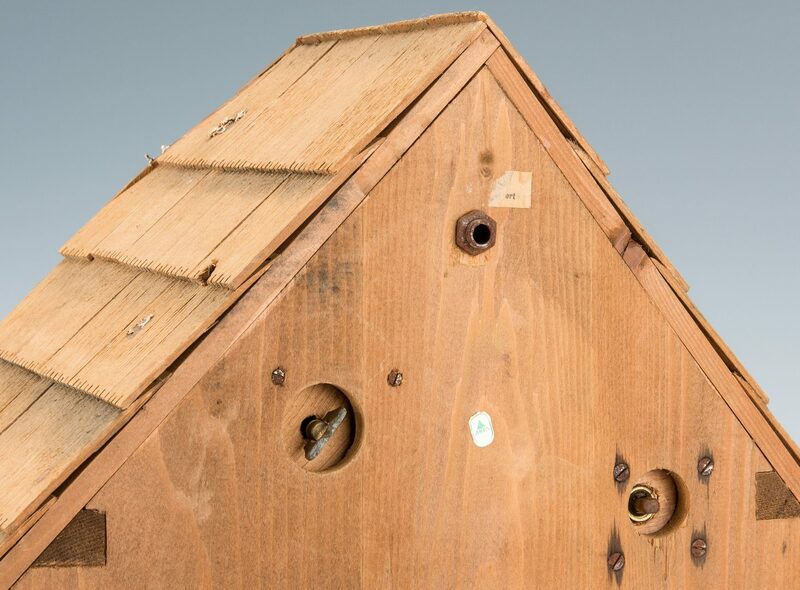 CONDITION: Stable roof with a couple of breaks to corners on left facing side. 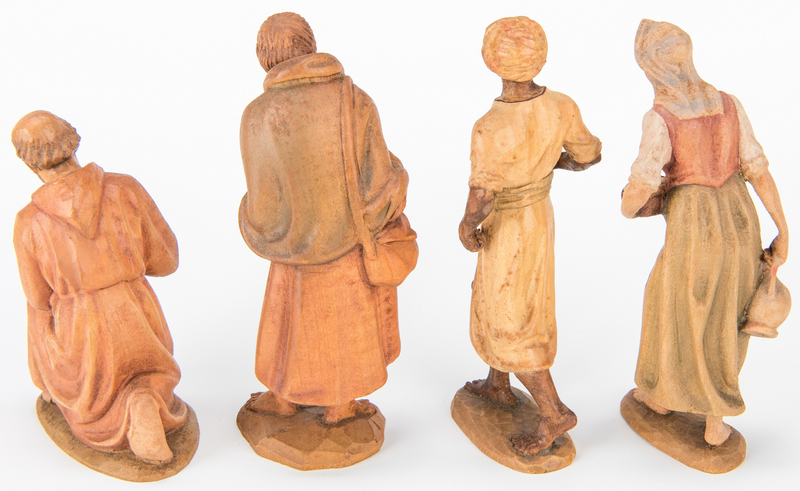 Figures overall very good condition with some wear to decoration from use.